Made for easy double sided printing. 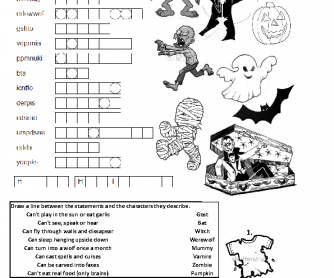 Includes a word scramble, fill the blanks, acrostic poem and a drawing exercise. I use this for an hour lesson, its good fun and has enough work to keep everyone busy. 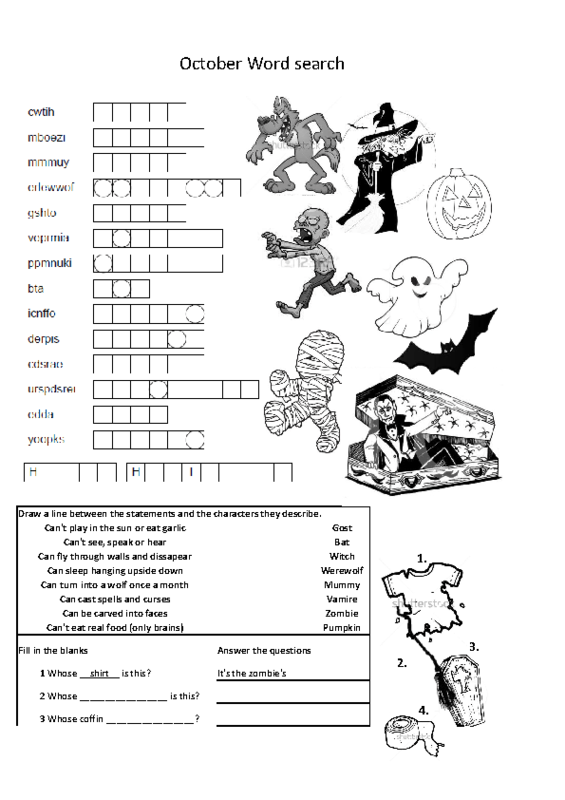 Vocab: Werewolf, Vampire, Ghost, Zombie, Spooky, Scared, Witch, etc.